Around this time ten years ago the World Trade Centre had just come down, the ‘war on terror’ was about to begin and contemporary art still had nothing to say. In the same year that Martin Creed’s ‘Work No.227’ won the Turner Prize (a piece consisting of nothing more than a light turning off and on) it’s not surprising that a new generation of artists began turning away from a gallery system made impotent by conceptualism. The alternative was to embrace the medium of the street itself. As stencil art exploded throughout the laneways of Melbourne it quickly found its way online where street artists from around the world were sharing ideas, exchanging techniques and building an audience. By cutting out the middleman, artists had direct contact with a new audience who shared their concerns. No curator could exclude their images for being unfashionably political, accessible and unpretentious. But now, 10 years on, street art couldn’t be more fashionable. As institutions scramble to catch up with the artists it seems that both parties are ready to benefit from some critical engagement. 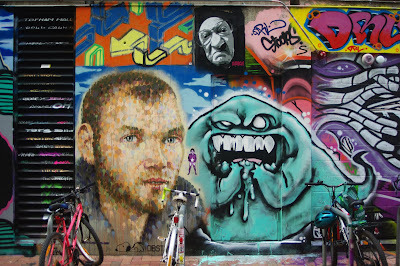 Space Invaders is the first attempt by any Australian institution to go beyond the token gesture and present a broad survey of this thing called street art. Beginning in 2001 when the NGV realised that something important was happening right under their noses, an appeal was issued for stencil artists to print their images on paper, archival paper. So, with the magic word of the institution, what had been ephemeral became collectable and what had been ‘counter cultural’ became, simply, ‘cultural.’ Or so you might think. When large institutions moved to embrace modern art in the 1930s it was only after modernism had been left to fend for, develop, and prove itself for a number of decades. In this way modern art had defined itself by its opposition to the status quo. So when museums moved to enshrine what began as a collection of avant-garde or ‘counter cultural’ movements, modern art quickly became the official culture of its time. But as the contradiction of modern art as a state-sponsored avant-garde became apparent, its integrity quickly eroded. By the time postmodernism presented an alternative that embraced meaninglessness itself there wasn’t much meaning left in modernism to put up a fight. So with that, kitsch became cool, bilge became art and, once again, counter culture became the official culture of its time. And so the cycle goes. Like any culture worth its place in history street art seems destined to run its course in a similar fashion. But for the time being its newfound alliance with institutions presents the opportunity to clarify and strengthen the strategies with which street art is moving beyond the tired spectre of postmodernism. Space Invaders, curated by Jaklyn Babington, breaks down the diverse history of street art with an informed clarity. With catalogue contributions from Roger Butler, Eloise Peace, Alison Young and Din Heagney the exhibition offers a glimpse at a history of competing agendas that goes beyond street art’s mainstream popularity over the last 10 years. What began as the easy political provocation and pop cultural appropriation of stencil art quickly became invigorated as it collided with the tribal aestheticism of graffiti culture. This strange amalgam found its strongest incarnation in Everfresh; a crew of seven core members whose varying styles came together out of a sense of camaraderie and a desire for fame. Since its formation in 2003 the Everfresh brand of masculine, neo-pop imagery has emanated from Fitzroy with the brash aggression of a teenage boy’s ghetto blaster. So unrelenting was their assault on the streets of Australia that the crew has established itself as a stand-alone authority in the world of street art. Its members are beholden to no institution except their own. But as the initial craze of stencil art began to wane when confronted with the aesthetic dead ends of its mechanical process, artists like those of the Everfresh crew were able to draw energy from their graffiti roots that place an essential value upon skill and style. When the world of contemporary art had all but done away with the notion that an artist should actually make their own work, street artists were opting for freehand aerosol as a medium which relied on skills that couldn’t be faked. More recently the importance of drawing has re-emerged as the cornerstone of image making in the practices of many street artists. Prominent among this trend are Miso and Ghost Patrol whose imagery finds resonance in its departure from the contemporary world. Rather than competing with popular culture like earlier forms of street art, these artists present a kind of passive nostalgia chic that offers relief from the realities of adulthood in the 21st century. More than empty escapism, such work attempts to revive the delicacies of craft that celebrate the value of an individual’s own labour. The deliberate fragility of their hand drawn paste-ups contrasts sharply with the city’s walls upon which they are sacrificed, revealing the hard truth of our absolute impermanence. 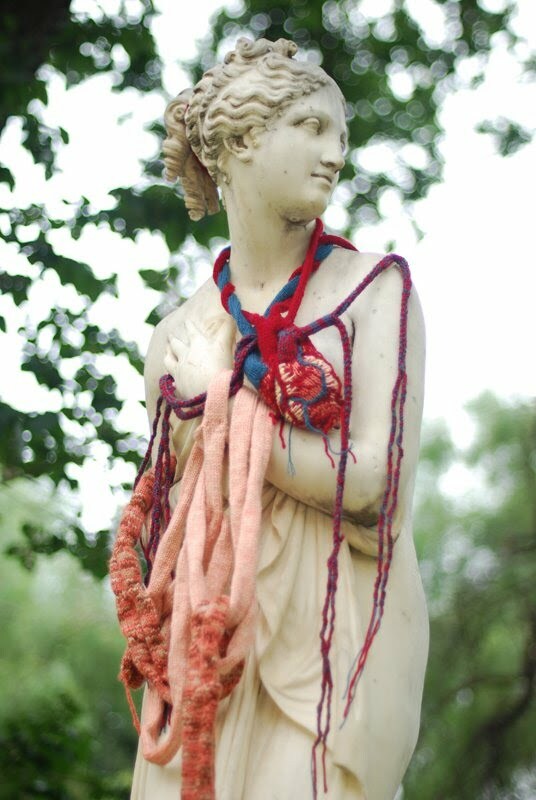 But the artist who has tied all these threads together with the most gusto is Anthony Lister. Famous for his depictions of superheros, Lister parodies popular culture’s enduring tendency towards idolatry in this secular age. He does this with a confidence that’s palpable well before the mechanics of his images are understood. But it’s Lister’s loose, figurative line work and touches of abstraction that connect his images to traditions of painting that require skill, intelligence and imagination. Like the work of Miso and Ghost Patrol it’s this ‘return to the hand’, in the words of Jaklyn Babington, which offers its audience the feeling of authenticity that it desires above all else. It seems that half a century of postmodernism has created a hunger for authenticity so great that it has become the one uniting factor of a street art movement that’s often divided in every other facet. So what’s perhaps most pleasing about Space Invaders is its ethical consideration for an artistic movement that has, until now, thrived in its opposition to the status quo. In this sense, Space Invaders presents an observation of what’s happening outside the gallery walls and consciously avoids superseding the original medium of the street. Whether future surveys of Australian street art will be so conscientious we can only hope. But from an artistic movement that values ‘the real’ above all else, any museum that attempts to ‘own’ street art will be rightfully met with derision. As a medium that presents a direct link between artists and their audience, street art creates a type of artistic freedom that’s historically unprecedented and, if left unmolested, is just getting started. 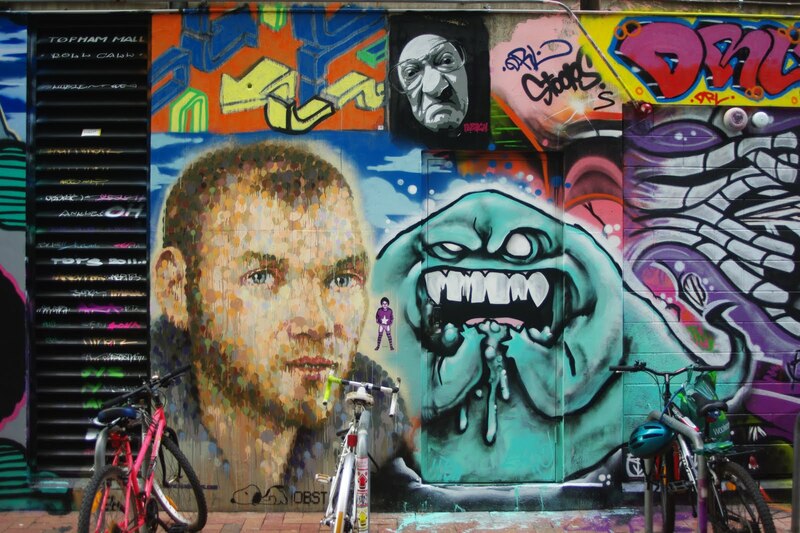 New murals and street art galleries are popping up all over the CBD. Peter Drew reports on the artists’ battle in the war against grey. So far, an initiative to bring colour to the streets, co-opted by groups of artists and the Adelaide City Council, only concerns properties owned by the Council. As the advantages for attracting consumer interest become obvious it’s expected that private enterprises will soon catch the buzz. But as the council rolls out its scheme to embrace street culture as a ready-made tourist attraction and miracle of urban renewal, the reality is proving less predictable. One of the key sites located on York Street (parallel to Rundle) was closed down due to a fear of paint fumes and tagging. Originally designated as an “Open Street Art Gallery” where work could be added at any time, the site was set to become a constantly changing collaboration between all kinds of artists. But when it was realised that paint fumes and tagging could be a part of street art, panic set in. As Adelaide City Council’s Public Arts officer Janice Lally said, “It’s been a challenge but we’re getting there”. Graffiti presents a point of collision between two of the great principles of Western civilisation: the sanctity of private property and the freedom of expression. Drawing its power from this tension, graffiti creates a space for much that has been marginalised in the contemporary world. 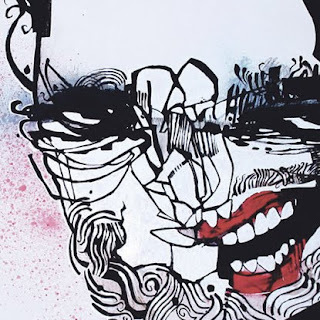 Tribalism, political agitation and art all thrive in the multifaceted world of graffiti. But with so many competing agendas, factions are bound to form. The two most prominent factions are “graff” (hip hop based graffiti) and “street art”. Like the “mods” and the “rockers” of the early 1960s, street art and graff clash in ways that don’t make much sense to outsiders. Much like the sub-cultural clashes of previous generations, we can generalise based on class distinction but that would be a crude misunderstanding. Some equate graff to working class and street art to middle class. Exemplifying this point is Banksy, the ultimate poster boy of street art who, as it turns out, isn’t the new Che Guevara but just a former private school boy named Robin Gunningham. For a more useful understanding of the two groups we need to look at their individual structures and the values that they uphold. Graff is almost like an aesthetic sport where the aim of the game is to paint your name as much as possible while displaying individual style and skill. More than any other art form, graff is intensely physical as “writers” (graffiti artists) traverse the landscape in search of ever more outlandish places to paint. This task of “getting up” can be as much about the quantity as it is about quality of the work. “Respect” is the culture’s one true currency. Generated from within the community, graffiti writers put most value in the respect of other graffiti writers. The more respect you have, the more your respect is worth. Without respect you are a “toy”. Win enough respect and you become a “king”. Contrast this with the structure of street art and the tension becomes obvious. Born out of a punk/DIY aesthetic, street art seeks engagement and sometimes approval from the wider community. Where graff centres on the use of freehand aerosol to display the nom de plume of the artist, street art enjoys the use of any medium or subject matter you can think of. 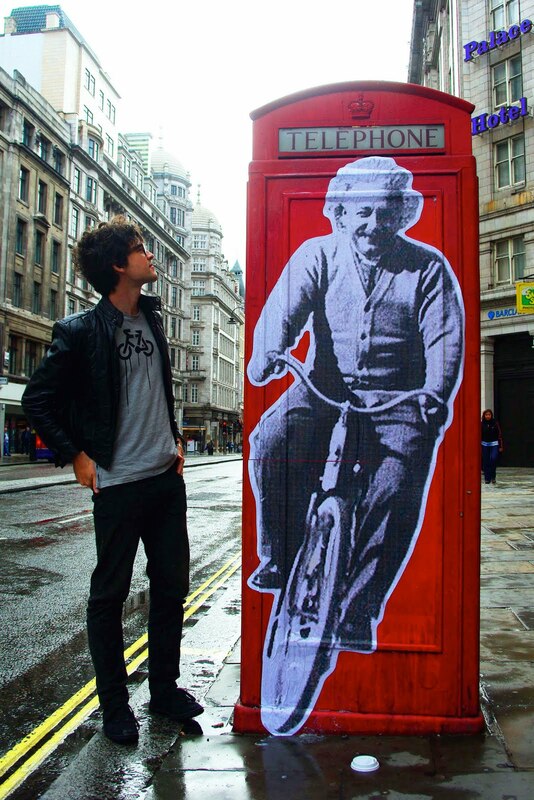 While its conceptual drive might make street art more open, it also has the potential to dilute its value. For instance, if you can cut out any image found on the internet, stick it to someone else’s wall and call it “street art” what’s really so special about that? It’s the value placed in style and technique that gives graff its greatest strength. But, for a culture that exists outside of the law, the task of enforcing values can be difficult. While previous generations solved this problem through various forms of intimidation, this option is, thankfully, becoming less tenable as the culture matures and moves towards legitimacy. These days, senior graffiti writers are often involved in outreach programs that focus on using the art form to help “at risk” youth by giving them a positive outlet. Together with legal murals that exist somewhere between Graff and Street Art, these figures are creating positions for the younger generation to aspire to. Ultimately the authority of senior graffiti artists comes down to the fraternity of an intensely masculine culture. 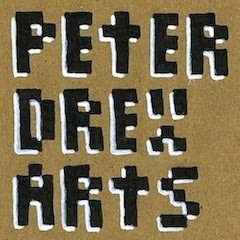 In this way, the Graff hierarchy appeals to the tribal instincts that the contemporary world seems intent on eradicating. There will always be a secret hunger at the centre of the male psyche that can only be answered by the respect of other men. Fathers, brothers and peers all play this role and when one falters, the others take up the slack. So males form packs and go to extraordinary lengths to win that token of manhood; respect. Street art, on the other hand, allows more scope for femininity. 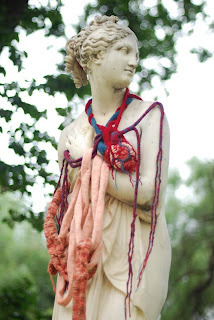 Take “knit graffiti” for example, which involves installing knitted fabrics onto signposts, or any other public object (image by Vera Ada). There’s just nothing intimidating about a parking meter wrapped in rainbow coloured wool. But, more generally, street art’s feminine appeal comes through its openness to all kinds of subject matter beyond the things that guys paint to impress their mates. That said, it’s priceless whenever a woman takes to the wall with results that leave the boys feeling sheepish. All the tough-guy bravado starts to look a bit silly. Each faction has its strengths and weaknesses from which the other will always have something to learn. Graff can remind street art of the fundamental value of style, technique and the strength of fraternity. Street art can remind graff that public engagement is nothing to fear. After all, a good audience likes to be challenged but they also expect the artist to keep challenging themselves. This means embracing change and breaking free from your own restrictions. Ultimately, the two sides are tied together by their love of freedom. In the grand scheme of things the reversal of the York Street project is just a minor hiccup in Adelaide’s otherwise exciting venture into street culture. But it does stand as a quick lesson that you can’t let something run wild and expect to tame it at the same time. Thankfully there are other options and positive examples to boot. First and foremost being the East facing wall of the Morphett Street bridge where the phrase “Sticks and Stones May Break My Bones But Words Will Always Save Me” greets oncoming traffic. The Typographic mural by ABOVE, Ankles, Chris Edser and Tristan Kerr demonstrates how street art can be applied in a controlled way to enliven public space. In precious few cities around the world the right ingredients have combined to produce a lasting culture where genuinely new ideas have taken hold. One key ingredient is the kind of public ambivalence that only comes out of very large cities. While such a casual attitude toward public space seems unlikely in Adelaide, we might be able to substitute ambivalence with an informed sense of acceptance. After all, the city belongs to all of us. Getting into street art and graff starts with just a little extra observation of what’s happening on the streets. Before you know it, you’ll be checking out the walls to see who’s getting up. The subversive pleasure of parkour is gaining disciples all over the world, even here in Adelaide. Why has this French craze that treats the urban environment like a playground become so alluring? Parkour isn’t just about climbing things. It’s a discipline, like martial arts, that began in Lisses on the outskirts of Paris in the early nineties. 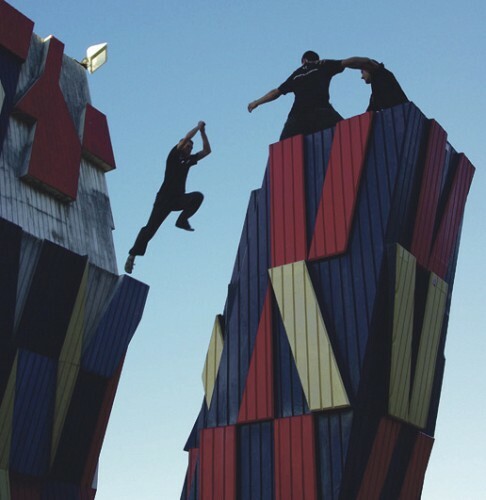 Parkour has now spawned thousands of independent communities worldwide. While some groups have been training for years, others are just being discovered as their videos emerge online. One such community, boasting some 50 members, exists right here in Adelaide. Put simply, Parkour is using your body to get from A to B in the most efficient way possible. While that definition is ‘correct’ it does little to capture Parkour’s popular image of the superhuman, urban ninja. If you’ve seen a few action films over the past ten years, chances are you’ve seen some Parkour. Remember that bad guy who was a little too good at escaping through an urban environment? Parkour. But for the people who actually train in Parkour it’s something more authentic that becomes a part of their daily routine. Every Sunday a group of thirty or so Parkour enthusiasts, or traceur, meet at the rotunda by the Torrens. Newcomers are taken through the basics by instructors while the more experienced members warm up on the concrete jungle gym that is The Adelaide Festival Centre. As the afternoon passes into the night the posse of shirtless, urban acrobats pull stunts that even experienced gymnasts wouldn’t dare attempt at any of their favourite spots around the city. But with its cool-sounding French name and underground status, Parkour has all the right ingredients to becoming the latest urban lifestyle accessory; a ticket to instant street cred. But the philosophy which forms the foundation of Parkour protects the discipline from becoming nothing more than a fad. So what is Parkour about? Well, it isn’t competitive so it’s not technically a sport, which helps it to retain that sense of play that’s become strangely absent from the world of professional sport. For those who want to compete there is “Free-Running”, an offshoot of Parkour that involves showy flips, championships and plenty of corporate merchandise. Parkour’s motto, “be strong to be useful,” rules this out. That sense of identity sets traceurs apart and grants access to a global community that shares Parkour videos online. Watch a few of these videos and you begin to notice that each region develops its own techniques and style of movement. It also gives newcomers something to aspire to. As a fresh batch of eager traceurs gather at the rotunda each week there’s a palpable sense of expectation that they’ll become urban ninjas in no time. In reality it takes years of training to build up the strength and technique required to pull off what the instructors can do. It’s fun to satirise contemporary art. There’s something about the self obsessed way in which it constantly questions its own value that makes you wish it would just cheer up and salvage a little dignity? So what better force to kick contemporary art in the pants than the affable enigma that is street art? 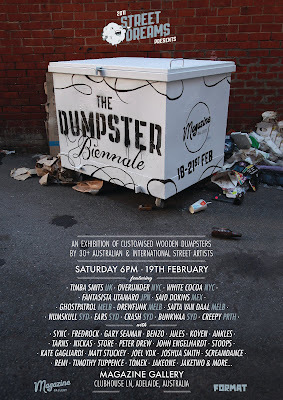 Based around the unique concept of mailing out replica-wooded dumpsters for street artists to customise, the Dumpster Biennale has quickly gained a reputation beyond our shores. 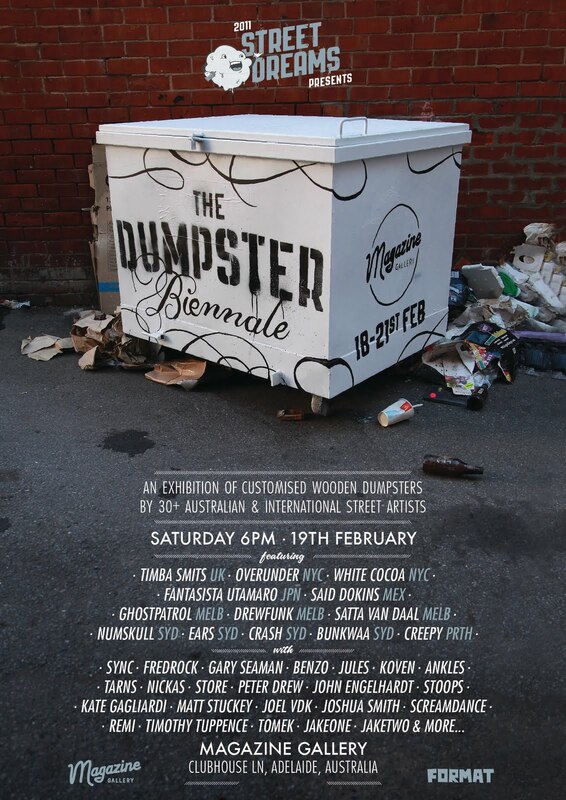 This year the exhibition features dumpsters from 30 international, national and local artists. The exhibition is the main event of this year’s Street Dreams festival, which is dedicated to celebrating all things ‘street art.’ Run by local volunteers during the Fringe, the festival includes street art tours, exhibitions, mural painting and technical workshops. It’s part of a long-term vision to develop the local appreciation of street art and build connections between artists nationally and internationally. Maybe he’s got a point. While blockbuster exhibitions of European masters will always attract the grey tide they also come at a steep cost. Street art exhibitions, like The Nation Gallery’s show titled ‘Space Invaders’, are comparatively cheap to put on. For the big galleries It’s a smart way of securing the loyalty of a younger audience who’s patronage will extend far into the 21st Century. It’s also a way of favouring home grown culture instead of pandering to archaic notions of euro centric cultural dominance. But the real appeal of street art is something much simpler - it’s the allure of authenticity. 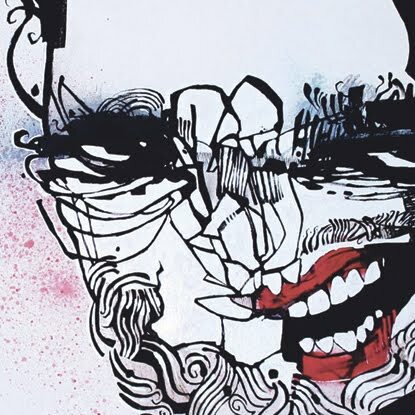 There’s something in that image of the street artist as outlaw-rebel that offers some welcomed relief from the tired pretences of the contemporary art establishment. After all, leading contemporary artists need buckets of diamonds, dozens of skilled technicians and intimidating galleries to make their creations seem valuable. The humble street artist can perform the same feat using their own skills, the cheapest of materials and an ordinary wall or even a dumpster. Refreshing, isn’t it. climbing things does keep you quite fit. this experience with a ravenous appetite. and it arrives without permission. stopped to exchange details. Hostility seemed out of the question. very fact that it’s impermanence is assured. prosecuted.” ‘Good point’ I thought and promptly added a stencil of my own.